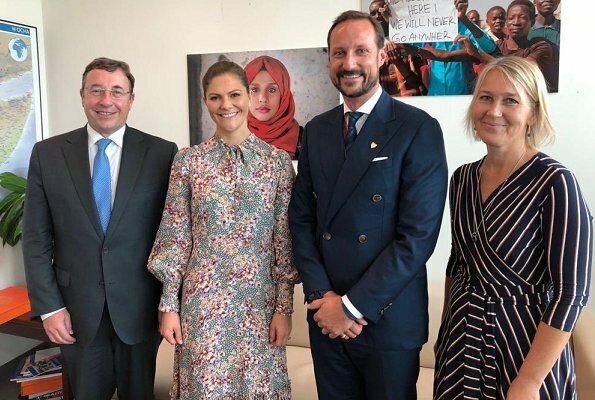 On September 24, 2018, Crown Princess Victoria of Sweden attended the official opening of United Nations General Assembly meeting and talked to ambassadors of UN's global targets. 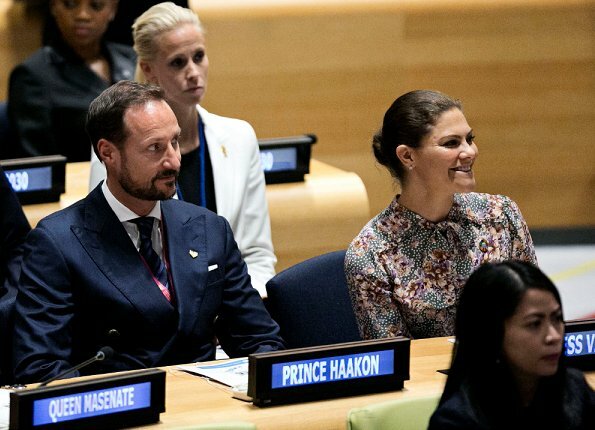 Crown Prince Haakon of Norway and Princess Mabel of Orange-Nassau also attended UN General Assembly meeting. 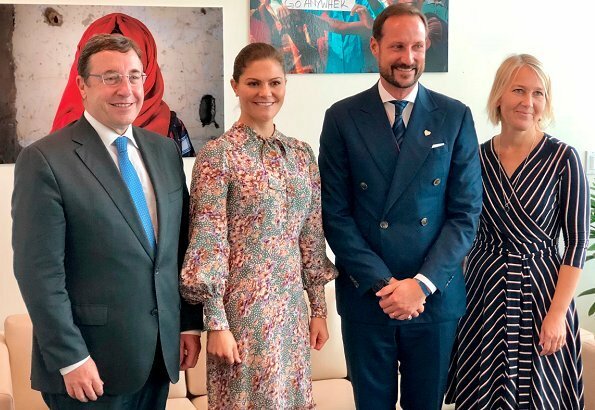 Crown Princess Victoria is one of 16 ambassadors who have been appointed as ambassors of Sustainable Development Goals (SDG) Advocacy Group. The duty of the group is to introduce Agenda 2030 which is the Sustainable Development Agenda of UN. This is not a good look for CP Victoria. This dress makes her matronly, way to old for a women in her very early 4o. She can do so much better. Oh Victoria - no-no-no-no-no. But at least the dress length is good, and it's probably comfy to sit around in. 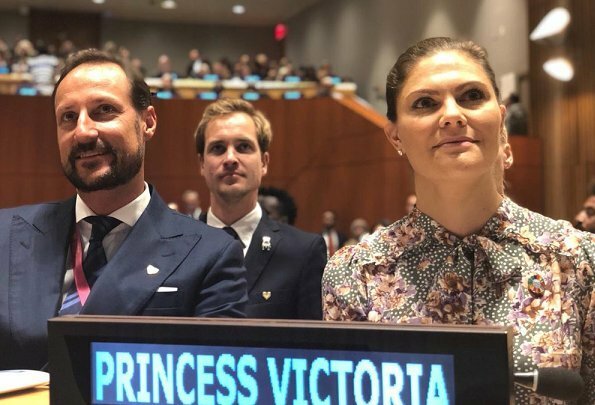 And big boo-boo for the UN demoting her and Haakon by omitting "Crown" on their name plates. And I had to google to find out who Queen Masenate is. Not a fan of this one Drab colour scheme and unflattering shape. However, always good to see the totals at international events like this. This dress with the hair makes her look so much older than she is. I do not understand why a young, pretty woman wants to have this look. At least her shoes are cute. I like the colours and the ruffles around the legs, they give the dress a nice swing when she walks. The sleeves are just a bit too much, but overall I like the look, perfect shoes and handbag! It is better to look good than to be trendy. She has enough funds to dress better. Perhaps she should hire a stylist. 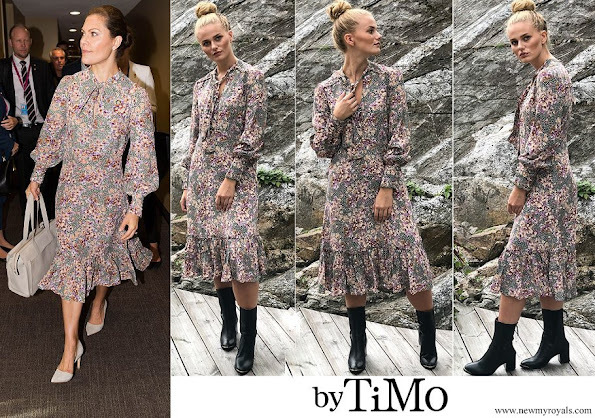 Why these dreadful floral dresses?? Awful!